“This is the first time this has been demonstrated in public, and because we’re using standard infrastructure we can show exactly how we‘d transmit data to a customer’s premises. “Bandwidth requirements are increasing at a rate of around 40 per cent year on year, as services such as ultra-high definition video grow rapidly. There are predictions now that it would take more than 5 million years to watch just the amount of video that will cross global networks each month in 2020[. “Superfast speeds are now available to 9 out of 10 homes and businesses and we're still taking fibre further. We're also excited to be bringing the country ultrafast speeds, which we’ll make available to up to 12 million UK premises by the end of 2020. But it’s also vital that we continue looking even further into the future, and this trial is all about preparing for increased data consumption over our network. “Huawei is again proud to partner with Openreach, this time in demonstrating the future capability of the fibre PON network being rolled out in the UK.Over the last few years we have worked closely with Openreach to evolve copper networks from basic broadband, through Superfast into the ultrafast capabilities delivered through G.fast technology. Today, around 92% of homes and businesses in the UK have access to superfast speeds of 30Mbps and above[, whilst the Openreach fibre network is available to 26.5 million homes and businesses. 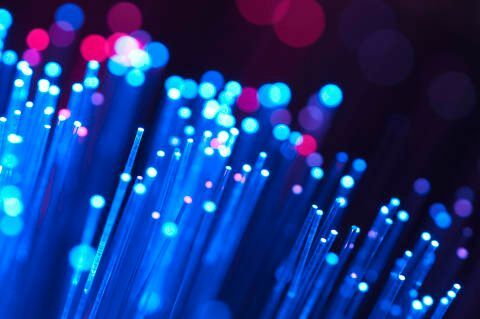 More than 100 different communications providers (CPs) are offering services over the company’s open wholesale fibre network, and all of them have access to superfast and ultrafast services under the same terms, conditions and pricing.